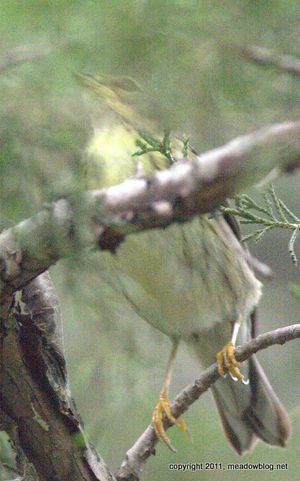 Nobody said ID-ing warblers is easy, especially when it's another rainy day with zero sunlight and the warbler in question is jumping around like it had three cans of Red Bull for brunch. A couple of park visitors saw this bird on Friday around lunchtime and asked us if we could identify it. We have a theory, but thought we'd make it a Tuesday Teaser first. We know the pix are by knows means good, but we are hoping they might make our other photos look better in comparison. 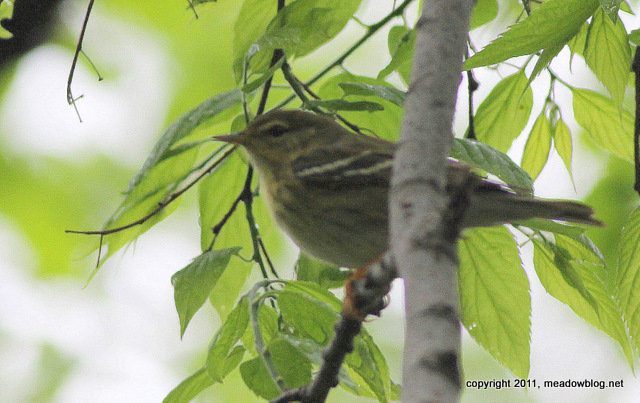 Blackpoll warbler is my best guess.